"Goonies 1985" is an original photograph, turned into a strikingly beautiful two-color screen print. 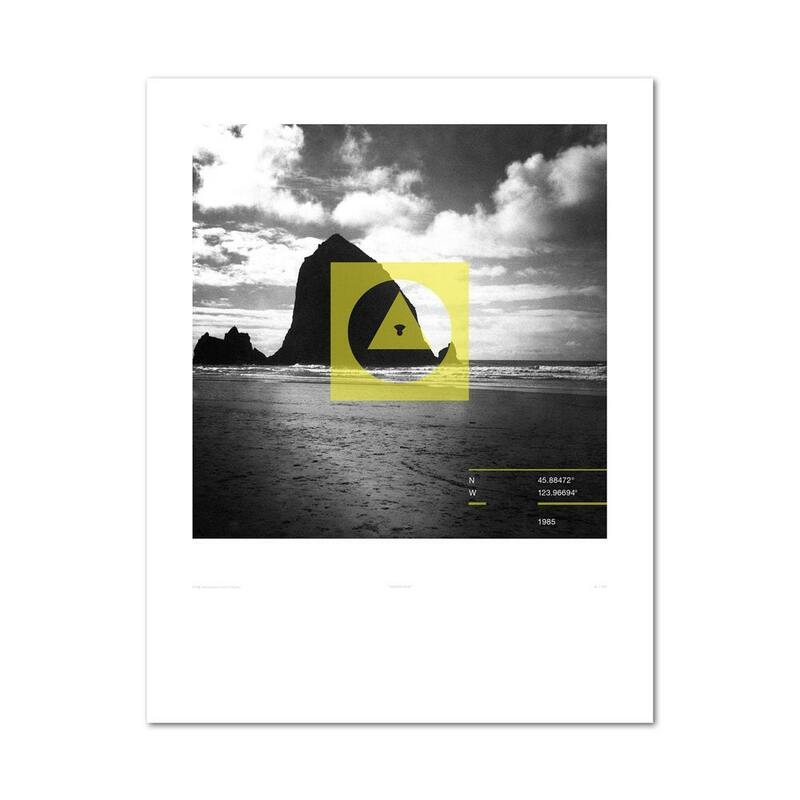 Photograph shot at Haystack Rock on the Oregon coast; Print Text: 1985, plus the GPS coordinates of Haystack Rock. 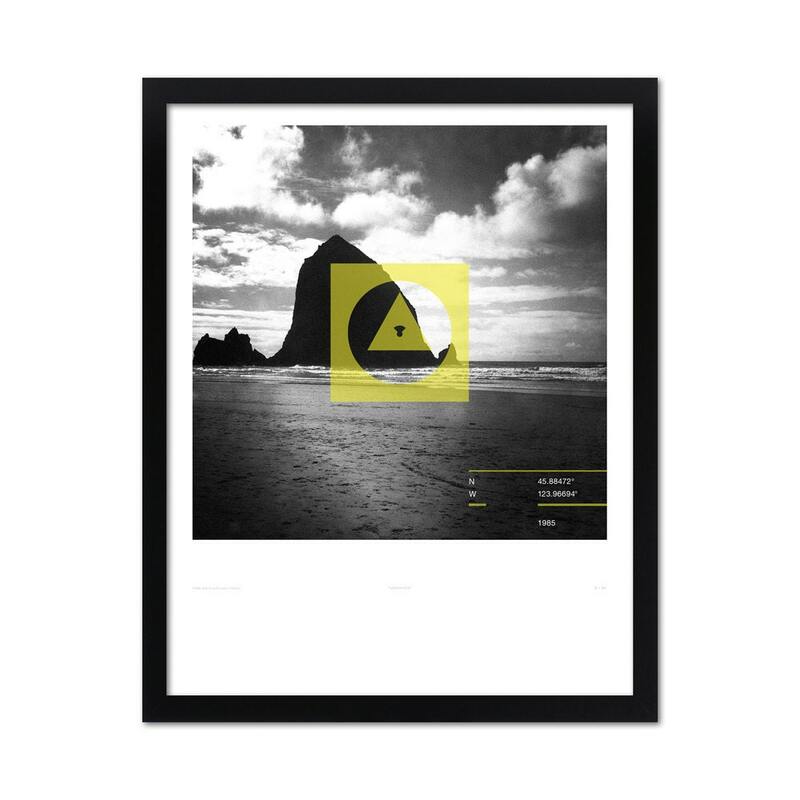 2-Color Overlay Black & Yellow Screen Print; Yellow symbol represents exploration like a true Goonie! Limited Edition; Signed & Numbered; Size: 11x14"; Sized to fit perfectly into a standard 11x14" frame. 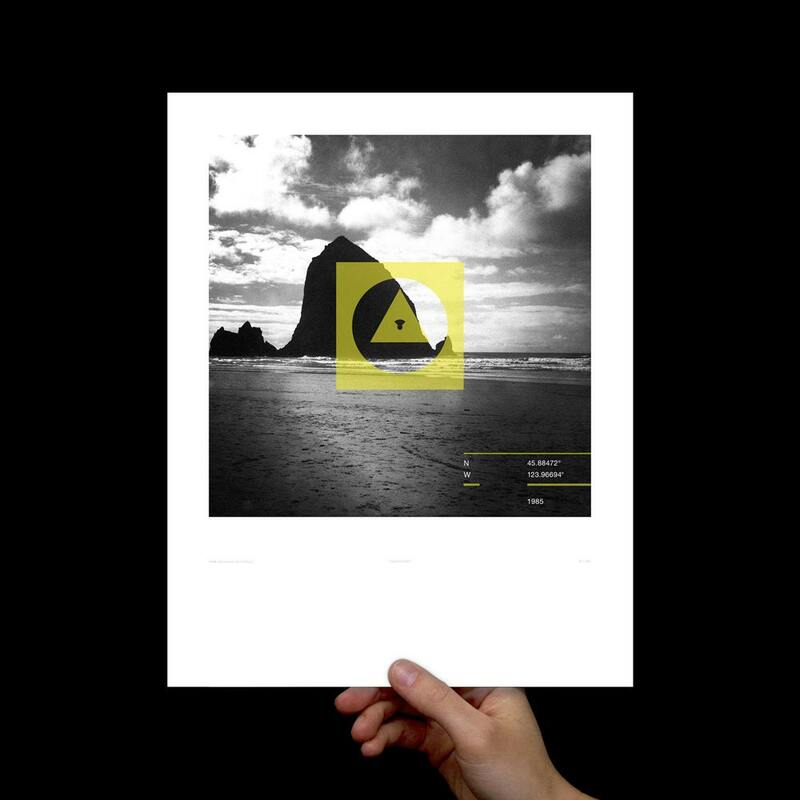 Shipping: Ships flat in a padded mailer. . Each print is signed and hand screen printed by the designer, Tommy Kronquist.